NOTIFIER’s ONYX® Series of intelligent fire alarm control panels have the flexibility and agility to meet the needs of any size application. 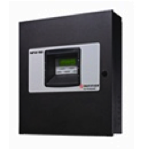 ONYX Series panels are easily expanded with NOTI-FIRE-NETTM, NOTIFIER’s intelligent fire alarm network, to keep pace with your fire protection needs. What’s more, ONYX Series panels and NOTI-FIRE-NET are completely backward compatible with existing NOTIFIER intelligent systems, so you can add-on or upgrade without having to replace existing equipment. ONYX Intelligent Sensing is an advanced set of software algorithms that delivers a rapid, intelligent response to incipient fire signatures, while substantially reducing nuisance alarms. Specialty sensors supply stability and very early warning capability where unique hazards and environmental conditions exist that prohibit the use of traditional smoke detectors. 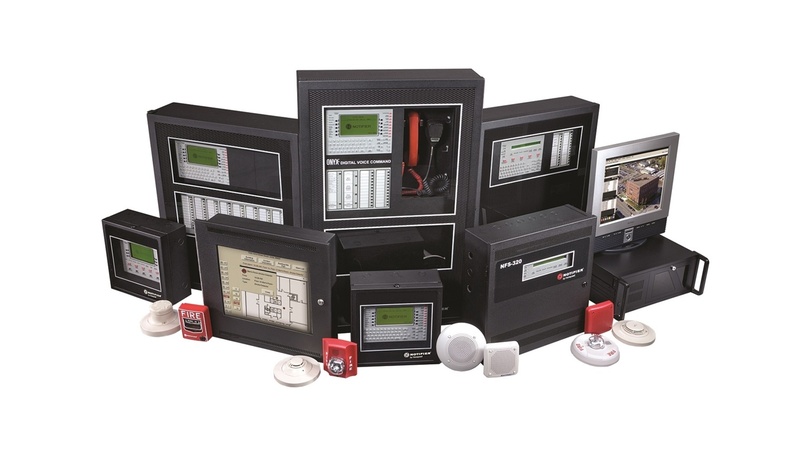 ONYX Digital Voice Command (DVC), NOTIFIER’s multi-channel digital audio evacuation and paging system, features eight channels of industry leading quality audio, five firefighter telephone channels, wire or fiber network options, and can broadcast multiple, distinct messages throughout your entire facility simultaneously. ONYX Series panels feature full-size QWERTY keypads, large 640 character LCD displays, and intuitive menu options, making it easy for facility managers to perform routine system maintenance, testing, and basic programming functions such as enabling or disabling points. And if an intelligent device is ever damaged and needs replacement, facility personnel can do so quickly and easily without the need for specialty tools or programming software. NOTIFIER’s FireWarden 50 and 100-2 intelligent fire alarm control systems are perfect for facilities requiring simple, yet, state-of-the-art fire protection that is easy to install, test, and maintain. With the FireWarden Series, you can now have the benefits of advanced addressable technology with an investment comparable to conventional systems. The FireWarden Series is perfect for smaller buildings requiring a minimal amount of initiating and notification devices - installations typically served by conventional panels. By offering all the benefits of addressable technology, including support for up to 50 or 100 addressable devices of any type on a single SLC loop, the FireWarden represents a highly competitive and favorable alternative to today’s conventional systems. Typical applications include, banks, child care centers, places of worship,restaurants, and small retail stores, cinemas, department stores, food stores, elementary schools, and small nursing homes or assisted living facilities. Built-in programmable NAC synchronization protocol with Selective Silence for System Sensor®, Wheelock®, and Gentex® removes the need for additional wiring, hardware, sync modules, and labor. With an integral Digital Alarm Communicator Transmitter (DACT) for off-premises monitoring and remote Upload/Download programming, the FireWarden features state-of-the-art communication technology in a compact package. The Auto-Programming feature quickly identifies, configures, and stores detector and module types, establishing fire protection for an entire facility within seconds. Additional system programming can be performed easily using the on-board keypad, PS2 computer keyboard, or Windows® based programming utility, VFWarden-CD. Using the VFWarden programming utility, authorized users can view system parameters, including: current system status, detector sensitivity, history files, voltages, and other information remotely. Because devices in trouble are individually identified, technicians can quickly and accurately diagnose the problem and respond to the service call fully prepared to correct the issue.